The Agile Scrum Master certification training is designed to give you deep insights into the highly popular Agile Scrum project methodology. You’ll learn the key concepts of Agile as a project management approach, discover how to lead project management teams, develop and deliver high quality products, and implement best practices in your organization The Simplilearn ASM training will position you to be an evangelist and champion in the Agile adoption journey for your organization. The Agile Scrum Master course introduces you to the concepts and best practices for Agile and Scrum. 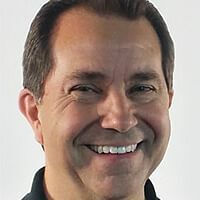 Agile is a project management approach that is well suited for projects that are complex and uncertain, and more than 50 percent of Agile projects use Scrum, making it the most popular Agile method. This course will help you build the requisite skills and expertise to pass the certification exam on the first attempt. You’ll become an expert in Scrum, enhancing your ability to develop and deliver high-quality products to your customers and apply Scrum concepts to your organization. With the practical application of Agile methodologies through hands-on projects on JIRA, you will be able to maximize business value while mitigating potential risks. What projects will I work on as a part of the course? All projects are based on the JIRA platform, giving users the benefit of learning the most popular Agile tool in a practical environment. Participants will learn how the three Agile roles (Product Owner, Scrum Master, and Scrum Team) complement each other in a real-time project on JIRA. This demo of an e-commerce website will let users understand and create backlogs, user stories, tasks, epics, and sub-tasks. It will also show them how to manage multiple releases. BigBucks Café, a leading chain of premium coffee shops, wants you to use weather data to regulate and manage its daily operations. As a Scrum Master, you will need to resolve and create a prioritized product backlog for the scrum team. The world’s largest life insurance company, LeViva, wants to launch an app to serve its customers, and they would like to use the weather forecast. As a Scrum Master, you will need to resolve and create a prioritized product backlog for the scrum team. Why get an Agile Scrum Master Certification? Agile and Scrum skills are highly prized in the project management profession. This Agile Scrum Master training will enhance your ability to deliver products in functional stages, improve collaboration among team members and create a more flexible process where changes are less impactful on project quality, cost, and timing. How will I become an ASM® certified professional? You can obtain a formal Agile Scrum Master Training from a Registered Education Provider like Simplilearn. Register with EXIN to purchase the exam voucher and schedule your web proctored exam online. Upon passing the exam successfully you will be awarded the Agile Scrum Master certification from EXIN. What are the prerequisites for the ASM Certification? There are no particular eligibility criteria for the Agile Scrum Master course; it is suited for any professional aspiring to a career in management. Complete at least 85% of the course or attend one complete batch. Complete one project and one simulation test with a minimum score of 65%. Is this Agile Scrum Master Certification accredited? Yes, this scrum master course is accredited by Exin. How do I fill out and submit the Agile Scrum Master application form online? Please contact our Help and Support team for assistance in filling out the online application form. You may also take the exam at a Pearson VUE test center. For more information, please visit their website. 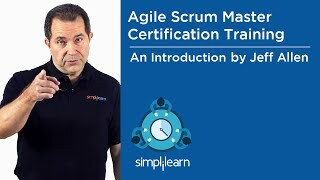 How long does it take to receive the Agile Scrum Master Certification? Candidates are eligible to download a digital version of their Agile Scrum Master Certificate from the Candidate Portal as soon as the results are available on the website. How many attempts do I have to pass the Agile Scrum Master exam? You have a maximum of three attempts to pass the Agile Scrum Master Certification exam. Simplilearn provides guidance and support for learners to help them pass the exam. How long is the Agile Scrum Master Certificate valid for? The certification is valid for lifetime and there is no renewal cost. If I fail in the Agile Scrum Master exam, how soon can I retake it? Candidates are eligible to retake the examination the same day at the Exam Center or via the EXIN Anywhere Service. Yes, we provide 1 practice test as part of our course to help you prepare for the actual certification exam. You can try this free Agile and Scrum practice test to understand the type of tests that are part of the course curriculum. The training was up to the mark. All I could say is the trainer was armed with excellent knowledge, detailed explanations, patiently answered questions ,and very good examples. Fantastic training! This was fun, interactive, and I learned!…The trainer keeps you on your toes and has a multitude of ways to keep you engaged and move ahead - the fastest 4.5 hours of my life ever! He provided real life, great examples, and practiced scrum in class!… from Videos and Polls, to Q&A, everything was so interactive and fun! Very impressed with progress of the training, the content of the course material and the knowledge of instructor. Great class, Great instructor, really explained the material well. I liked the way all the Scrum concepts are explained and the interactions with the attendees. I have enrolled in Agile Scrum Master certification from Simplilearn. The trainer was very knowledgeable. Their online learning portal is very easy to use. The customer support service was friendly. I have enrolled in Agile Scrum Master course from SimpliLearn course. Their customer support service was extremely helpful. The course content, as well as the instructor, were very good. Overall learning experience met my expectations. I am sure that the certification will help me to get ahead in life. I have completed my course from Simplilearn. The course material was presented in such a way that it was easy to understand. We could also relate them to real world scenarios. The downloaded e-books helped me a lot since I was able to mark the content as and when I was going through them. Great class structure. Great session, the trainer was great and the training was interactive. Loved the examples which really brought the lessons to life. Keep it going! I really appreciate the multiple formats that you offer with the online learning, downloads, and the WebEx interactive sessions. It's really helping me grasp the material more quickly. The trainer made sure we have the concepts down. He provided great pointers regarding the exam. I really appreciate his training style. The course is detailed and informative. The aspects covered in the course were significant in terms of practical application. I have definitely created a strong foundation and I am able to apply the methodology at work. The information was crisp and to the point. The learning has been beneficial as the importance was given to the vital aspects of Scrum terminologies and its practical application. I am confident in my new approach to Scrum implementation across geographies in my organization. My role in the new organization demands my expertise in facilitating daily scrums and after taking up this course I am able to execute the task with confidence and ease. I have gained a lot of knowledge in this area and I quite impressed with the depth of understanding I have gained through this course. I cleared the exam in my first attempt and the certification in Scrum Master has helped me land several job interviews and I have cleared the interviews with confidence, portraying a deep sense of understanding in Agile Scrum Master. I am glad I took up this course. I am now able to efficiently track and manage my team spread across several geographies. I am comfortable with expediting the process of managing several teams and I am confident in implementing the agile scrum at my workplace. What is ASM Online Classroom Training? Agile Scrum Master Online Classroom Training is live online training conducted via live streaming of a class. The sessions are run by a Scrum Master certified trainer with more than 15 years of training, and work experience in the domain. The class, attended by a global audience, enriches your learning experience for geographically diverse Scrum implementations. After the successful completion of the training and exam you will be awarded the Agile Scrum Master certificate from EXIN, the global body of accreditation for Agile Scrum Master. The actual certificate will be emailed to the participant 10 days after the declaration of result. As part of the course, you are required to submit an Agile project on JIRA. After successful completion and evaluation of the projects, you will be eligible to receive a JIRA project completion certificate from Simplilearn. What is offered as part of the training? As part of the training, you will receive 16 hours of instructor-led training and 2 sample tests that you can use to prepare for the certification exam. A demo of a project will be provided in the class along with a few practical projects to be implemented on the free JIRA account. Yes, the exam fee is included in the course fee. You can book the exam online with our support team by clicking on the Help and Support Tab at the bottom of the page. How many questions are there in the Agile Scrum Master Certification exam? The EXIN Agile Scrum Master certification exam is an online test comprising of 40 questions, for a duration of 90 minutes. The minimum pass percentage is 65% (that is 26/40). Headset, speakers, microphone: You’ll need headphones or speakers to hear clearly, as well as a microphone to talk to the others. You can use a headset with a built-in microphone, or separate speakers and microphone. Are the training and course material effective? Absolutely. Our Agile ScrumMaster training course is designed to guarantee you’ll pass the exam on your first attempt. With a hands-on learning approach, the training not only gives you the confidence to pass the exam, but also helps you retain knowledge beyond the exam. Is this live Scrum Master training or will I watch pre-recorded videos?